The AURORA Program, Dead or Alive? From reports recently and also testimonies from developers it seems that the AURORA was, as well as ASTRA, a Northrop Grumman program and NOT as it was once thought a Lockheed Skunkworks program. "Yes, there is an Aurora, however I believe that was the codename for the Northrop B-2A Spirit Wasn't it??" Well...we certainly now know that Lockheed was NOT the developer for the AURORA. There is no way that one company would say a program is another company's if the program was in fact their own. Even for a cover-up, it just would not happen. It is certainly viable that AURORA is indeed the codename used for the development of the B-2A Spirit Stealth Bomber. We have heard the AURORA Story for how many years? Quite a few! At least since the late 80's. 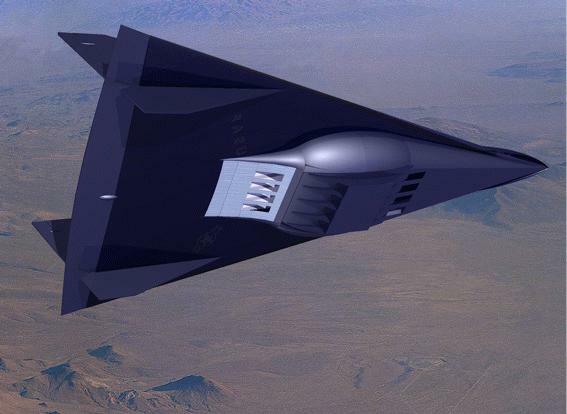 It is therefore that, since the B-2A is now out, that it was the codename for it, just as Senior Trend was the codename for the F-117A Nighthawk from Lockheed Martin. I personally do not believe that AURORA is now flying as an individual aircraft/program and I am going to stick by reports from various sources, including Lockheed, and think that the AURORA is and was the B-2A Spirit. If AURORA was indeed still a program, it would have long been changed to another name, as most program names change with their development stages such as Have Blue went to Senior Trend, Senior Trend went to F-117 Nighthawk. Perhaps it is right, perhaps AURORA was the first initial development phase after Tacit Blue or maybe before Tacit Blue and then went to the B-2A when in final testing stages just like Senior Trend. Perhaps AURORA is flying in a totally different guise. It may even be a subsonic reconnaissance platform before we know. The shape of Adrian Mann's AURORA is very viable, mainly because quite a few NASA/USAF programs undergoing testing at Edwards AFB and other Facilities actually DO HAVE THAT SHAPE with under-fuselage propulsion systems. Take the X-30 ORIENT EXPRESS for example, a TAV (Trans Atmospheric Vehicle) in development that has the engines underneath in a bulbous ventral configuration. 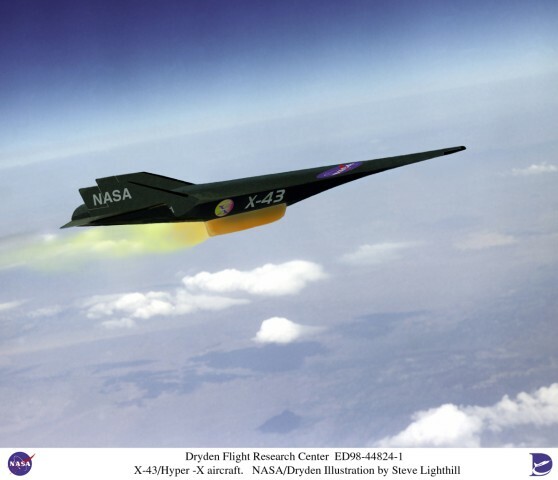 Another example, and near enough the same shape as the TAV is the 'HYPER-X' which stands for HYPERsonic eXperiment. This aircraft also has underneath propulsion systems, shown below. As you see from the image, the shape is getting on to be the same sort of configuration as that of many other programs, and that of Adrian Mann's concept drawings. Note above the yellowish exhaust fumes, this could be a Liquid Methane Gas Propulsion (LMGP) system, which can also be used by fuelling Pulse Detonation Wave Engines (PDWE). 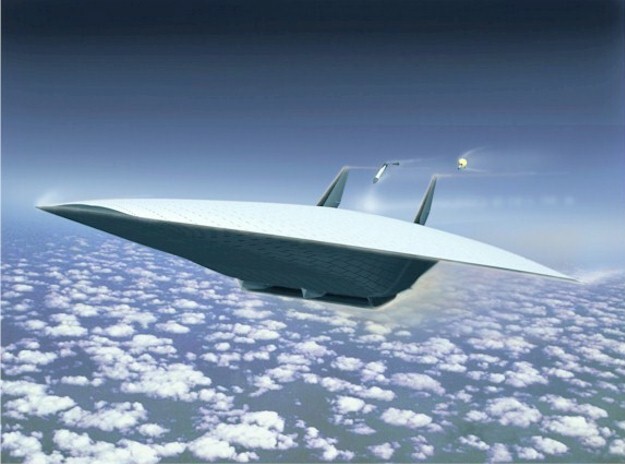 Northrops Concept of a hypersonic aircraft. Note again the under-fuselage propulsion system, and also the shape of the side-view, again similar to the above. It seems its the future way to go. However, these are not ASTRA or AURORA but we now get the feel of what future developments may look like, indeed the above are in designing stage and HYPER-X and the TAV are in development.